Commercial locksmiths have a lot to offer to business owners, and much more than just solutions to emergency lockouts. Businesses are frequent targets for burglars and they can be compromised from the inside if security is lax. There are many security and egress products that are only designed for commercial use, as business owners have much more to protect than the typical homeowner. Beyond security, business owners have to consider the kind of traffic they expect through their doors. This also has an impact on what hardware will make sense. It’s a lot to consider, clearly, which is why business owners usually consult commercial locksmiths to ensure they are getting the most from their security solutions. Commercial lock outs – This is what most people think of when they think of locksmiths. When a locksmith responds to a lock out request, they arrive at the location and, if they are part of a reputable firm, ask for the client’s identification. It would be quite dangerous, obviously, if locksmiths were willing to let just anyone gain entry to a business. Once the client has provided identification relevant to the business, they will quickly crack through the lock and provide entry. Although commercial locks tend to be harder to manipulate, a certified commercial locksmith will have the expertise and tools needed to do so. Regard with suspicion any locksmith that claims they need to drill out the lock and replace it with a new one. Install high security commercial locks – High security locks are a must for any business. In general, there aren’t too many differences between the locks used for residential and commercial properties, but it is much more common to see high security locks on business doors. That makes sense for security reasons, but there is another factor to consider. High security locks are more stable and durable, so they can withstand the much greater traffic that businesses see, compared to homes. Deadbolt locks are graded by the American National Standards Institute, or ANSI. The ANSI considers three levels of locks, with the lowest (Grade 3) the standard option for residential properties. However, Grade 3 deadbolts do not provide strong security. Grade 1 deadbolts, though, can withstand repeated blows using heavy force and are designed to hold up even after tens of thousands of uses. Grade 1 deadbolts are appropriate for heavy commercial use, and should be the first line of security for any business. Advanced entry and alarm systems – Commercial locksmiths can provide additional layers of security for a business, even targeting high priority areas where valuable assets are kept. Alarms that are tied to motion controls or surveillance systems are standard choices, and these alarms can emit sound, send alerts to security consoles or even connect to an independent security monitor that contacts police. Advanced entry systems may be necessary when a business employs many people, and standard keys just aren’t a realistic option. Advanced entry systems include keycard readers, barcode readers and fingerprint locks, just to name a few. These systems allow for quicker entry and better control over who has access to the building, as individual access can be denied remotely once someone is no longer allowed access to the business. Safes and secure file cabinets – Not all businesses keep liquid assets like cash on the property, but all businesses do have sensitive files that need to be protected. And for those companies that do keep valuable assets on hand, a burglary and fire resistant safe will be a must. 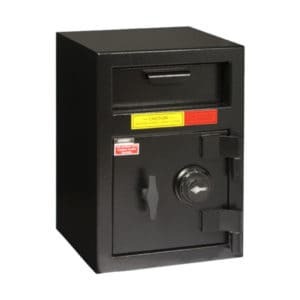 Commercial safes have to offer better burglary protection than residential safes, and a high degree of Underwriters Laboratory (UL) certification should be a given. UL employs the best safecrackers in the world, and they rate safes by their ability to resist extended attack using tools, and even explosives. A UL TL-15, UL TL-30 or UL TL-30×6 are made with thicker steel, stronger welds, thick bolts and relocking systems that act together to foil burglars. Extremely high security safes may also be constructed with a layer of fortified concrete to give the safe resistance to torches and cutting tools. Commercial safes also need to provide a great deal of bulk so that they can’t be simply carried away. Commercial locksmiths can also provide fortified file cabinets that are made with UL listed locks. These locks resist manipulation and forcing, and the cabinets are made with thicker steel, so they cannot be cracked open like standard filing cabinets. Keying services – Businesses do not manage their keys the same way a residential property owner does, with the possible exception of an apartment complex. Even businesses with advanced entry systems will reserve traditional grooved keys for janitorial staff and the like. 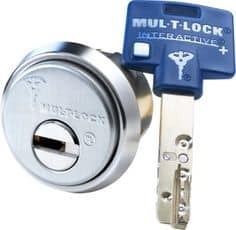 And as mechanical locks are always installed as a backup to electronic locking systems, traditional keys are usually handed out to key staff as well. Managing these keys is an important element of property security, as the keys cannot fall into the wrong hands, nor can they be given to people who will attempt to copy them. Commercial locksmiths can assist with these needs, producing keys that fit with high security locks, which are usually designed with active mechanisms. These make it particularly difficult to read a lock using a blank, and open up possibilities for additional key cut differences. Master keying is a standard practice among businesses, as it provides a more convenient way to manage dozens of locks. Master keying can be tiered so that keys are assigned to people by their rank, theoretically to an unbounded limit. Gates and iron security – The oldest form of deterrence is a wall, and some commercial locksmiths can provide them as well. In most cases, this a wrought iron or chain-link fence, finished with a gate. Automated gates can respond to drivers or with access cards or codes. Iron security gates are a strong first line of defense for industrial complexes, and also protect workers who are operating in sites with heavy vehicle traffic. Commercial locksmiths have to fill a variety of roles for their clients, responding to changing security needs and spotting areas where a business could improve their defense. Every business has something worth protecting, and commercial locksmiths are there to provide that protection.